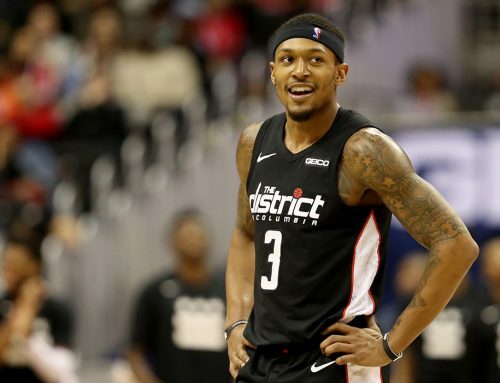 On a night when his shot wouldn’t fall from deep until late, Bradley Beal found other ways to affect the game, and his Washington Wizards teammates balanced the scoring load to claim back-to-back wins for the first time this season. No. 3 still scored 21 points — his 10th night over 20 points in 13 games this season — despite shooting 2-of-10 from three. But those two — one each in the late stages of the final quarters — were huge. 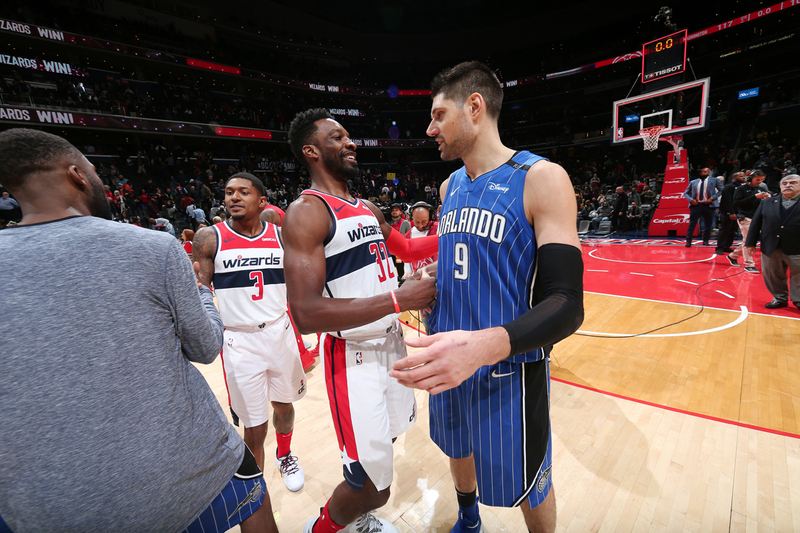 He also added eight rebounds, four assists and two steals as the Wizards avenged last Friday’s loss in Orlando, with a 117-109 victory over the Magic in D.C. on Monday night. But afterward, BB deflected credit to his teammates, particularly point guard John Wall and reserve swingman Jeff Green. Wall had a game-high 25 points and dished out 10 assists while Green came off the bench to score 18 points on 6-of-7 from the field in 20 minutes. The veteran Green banged four threes and also grabbed six boards and nabbed two steals. The two squads matched up evenly over the first frame, each scoring 30 points with Washington establishing an early lead before Orlando came back with the reserves on the floor. 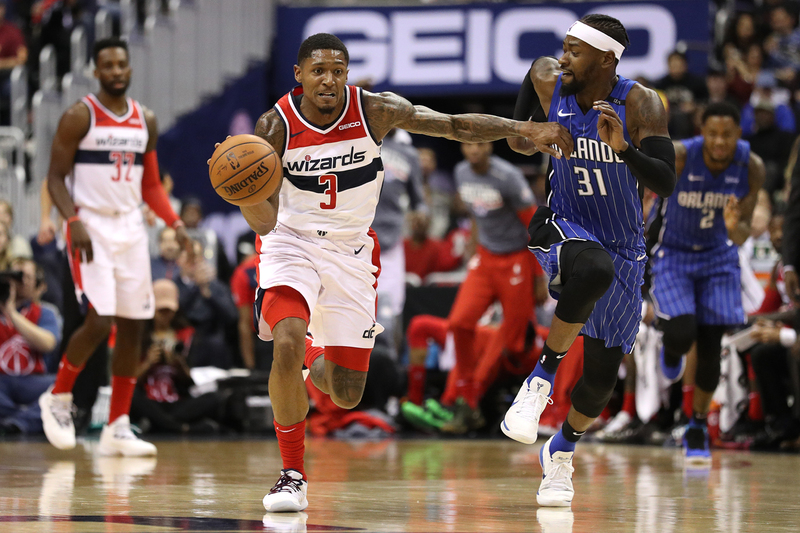 The Wizards briefly seized control early in the second frame, led by eight points, including a pair of threes by Green, but the Magic once again slugged back. Late in the quarter, Orlando held the lead, but a 30-second sequence that saw Wall twice drive down the court for layups, sandwiched around a defensive rebound by Brad, allowed the Wizards to knot the game at 55 apiece, and the game went to halftime tied at that score. After the game, Brad said he sensed something different about the energy in his backcourt mate, who scored 11 of his 25 points in the first half, and he thanked the media for some undue criticism that caught the ire of the veteran point guard and gave him a bit of a chip on his shoulder. Wall picked up right where he left off at the start of the second half, scoring Washington’s first two buckets of the third quarter. But it was Orlando that ended up racing out to the largest lead of the game in the third, with a 9-0 run to go up 10, 75-65. No. 3 ended that run with a drive to the bucket where he sank a floater to cut the deficit to eight. 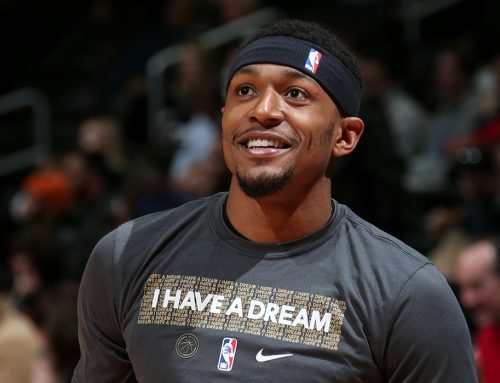 A few minutes later, after misfiring on his first several attempts from deep in the game, Brad finally connected for a trey that made it a three-point game with under three minutes to go in the third. “That switch needs to flip a little bit faster, but it’s good that the threes I did make came at the right time,” he said. The Panda later added a big dunk to put Washington in front, 79-77, but by the end of the third, the game was once again tied, as it had been at the end of the first two frames. But the fourth frame belonged to the Wizards, and that was thanks in large part to Green. 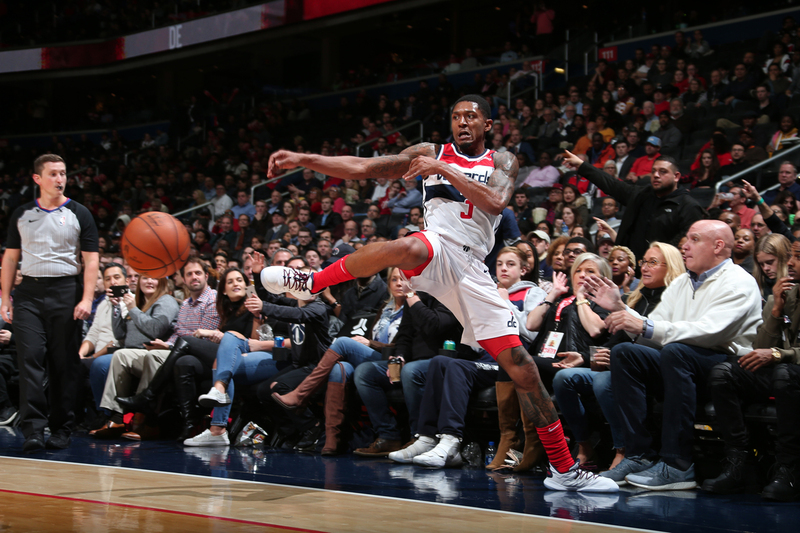 The veteran scored 10 of his 18 points in the fourth and on the strength of his contributions, the Wizards reserves gave Washington’s starters a five-point lead to come back to. 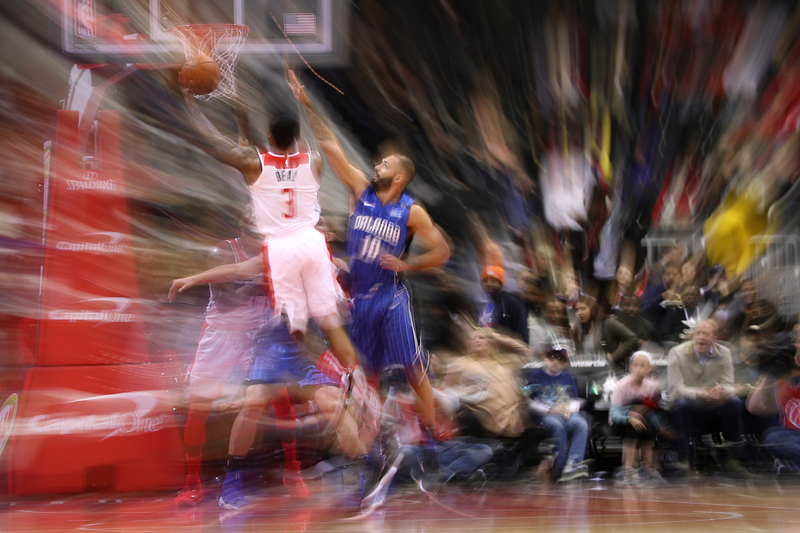 From there, Wall and Beal closed the show, with Wall scoring nine of his 15 points in the fourth, and assisting on both of the big buckets buried by Brad in the closing minutes, including a dagger three that put the Wiz up eight with 2:23 to go. But afterward, No. 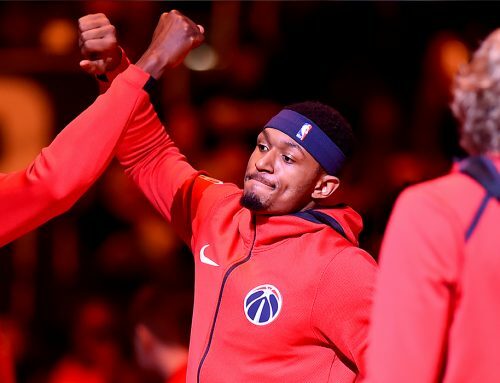 3 credited the veteran Green, who has played multiple positions off the bench this season and seen his role change game-to-game, for showing the Wizards the way to go about their business and sacrifice for one another to allow the team to perform at its best. Winners of two straight and hoping to get going after a sluggish start to the season, the Wizards (5-9) will be back in action on Wednesday night when they host the Cleveland Cavaliers (2-11) at Capital One Arena. Tip-off is slated for 7 p.m. ET and the game can be seen on NBC Sports Washington.